Tracking the time of your team can be useful on so many levels. Helping to point out improvements in productivity, providing the Customer with timings of actions on a call, billing purposes, and so on. The famous saying "Time is money" has never been more poignant than today. Against each and every request, your team has the ability to add time taken on individual actions within our help desk software. The ability to record time outside of requests, holidays, journey information and travel time, are also available on all interfaces for your team. Add time on the move via the Smartphone apps for iPhone, Android, Windows Phone and BlackBerry, via your tablet such as iPad or Galaxy Tab, via a web browser anywhere, and via the Windows application, on your PC. Capture time on requests, against the actions you add for easy auditing. All time on request collated and added together to form request's total time. Associate "charge rates" against time for easy billing and/or reporting of time. Add time manually, use built-in stopwatch or automatically record on action. 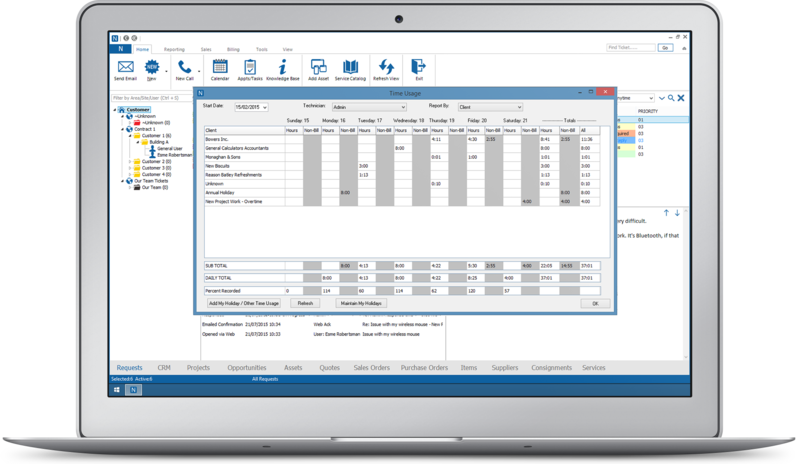 Collates all time under individual timesheet dashboard to monitor time. Records billable and non-billable time as well, against the request. Record ad hoc time, and all actions outside of requests, such as meetings. Set weekly hour recording targets, and reminder e-mails if target is not yet met. Receive Management Reports summarising team's time for previous week. Overview summary time reports over weeks, month, quarter or year. Assign time to Service Level Agreement compliance (see separate page). Record all their time on all interfaces, whether request related or not. 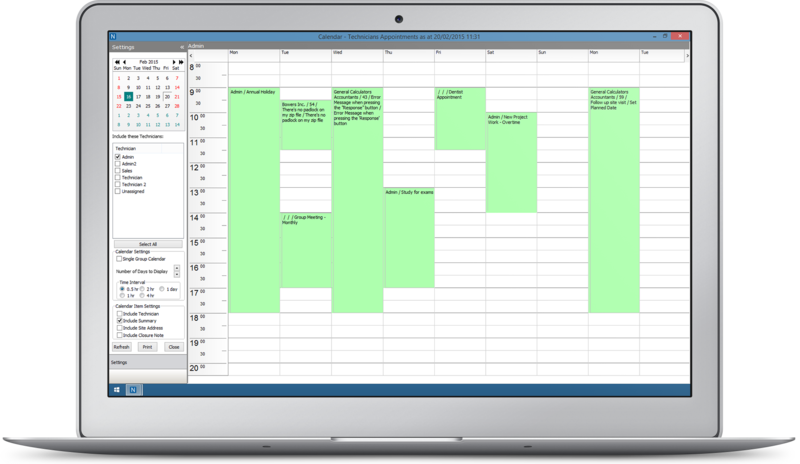 Overview time records in appointments using the Calendar facility. All of these time recording features and functionality are included, as standard. All time added to requests will be logged in the request's action grid for full auditing quality purposes, as well as added to timesheets for that member of staff. Within the Support Staff Timesheets, a timesheet dashboard is available to report on how much time has been logged by each member of staff, and filter by Customer, Category group, Agent or User name. The dashboard allows you to account for billable and non-billable time, and set targets for your staff to reach. 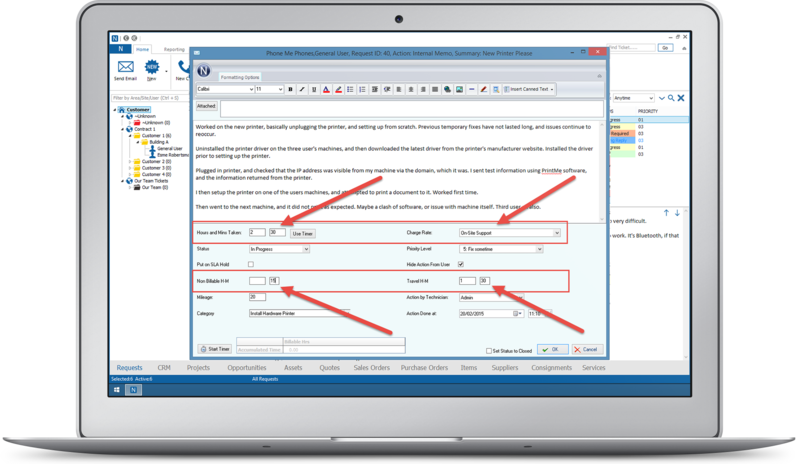 A Management Timesheet Report e-mail can be sent once a week summarising your staff's activity, and send Staff reminder e-mails if targets have not yet been met. Our help desk solution also allows you to report on previous weeks at the touch of a button.